Are you begainer at swimming and looking for best kickboards? A pool kickboard is a simple piece of swimming gears. It is important for swimmer’s training both for beginners and professionals. The Swimming kickboard is made from non-toxic lightweight foam. It resists water absorption to maintain an impressive level of buoyancy. It enables you to exercise your legs. It provides emotional confidence and physical support for toddlers who are learning how to swim. It also helps to better the kicking techniques and increase stamina. There are various kinds of kickboards. Most of them are made of foam, sturdy and buoyant. There are different size swimming boards which are adult kickboard and kids kickboard. 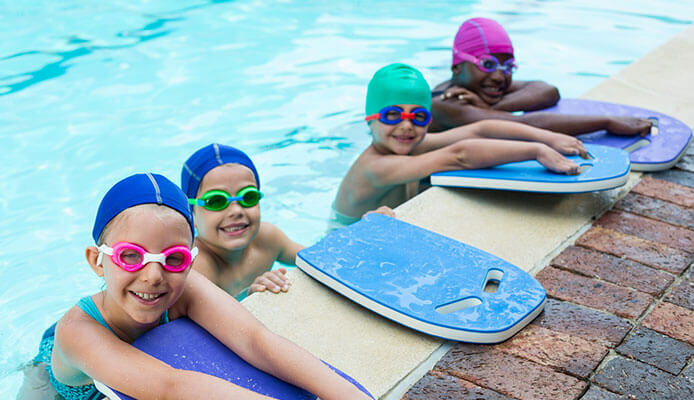 The more significant thing is that to get a good and reliable product to improve your swimming technique, And our top rated pool kickboards list is going to help you out. So, what are the best kickboards for you? Below we have reviewed the top 7 swimming float board that might help you a lot. Speedo Kickboard is very useful for every swimmer. 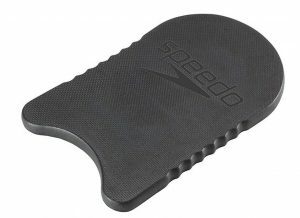 It is very light because this speedo team kickboard is made from lightweight EVA foam which is hard to break and durable. There is only one size for all, mainly for adults. Anyways, The size is great. To sure tight grip witout slipping, it offers finger grooves on the underside. It is perfect for kicking drills that helps your legs increase their strength and overall performance. Along with, This speedo swimming board is great buoyancy. This kickboard stays had on the water. It is a favorite kickboard for teachers. You can choose between black and blue color. 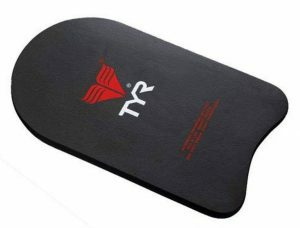 TYR Sports Kickboard which is weighty that comes in 2 inches in thick. Also, It is little long than Kiefer and Speedo boards. It is available in 2 color, they are black and pink. They TYR kickboard is classic with pretty design. And it is made from the highest quality materials. This board also made from EVA. It is very comfortable to hold on. It is one of the best kickboards available for swimmers. The Kickboards are specially designed for children. Many consider this is the best kids kickboard. 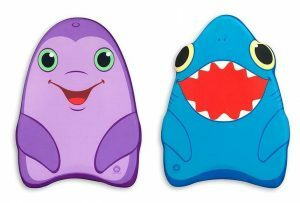 It can be said that the Sunny Patch Dolphin and Shark Kickboards is the best kickboard for children. You will get two cute designs that will help your child to make his/her first steps enjoyable at swimming pool. This chldren kickboard is made from Styrofoam with polyester casings. This board is very much resistant to sun and chlorine also the color will not rub off. If you don’t want to buy 2, then you can get the shark design that is seperatly sold. They are small in size because they are specially built for children. Its measuring is 1.5 x 13 x 17.7 inches. It will not be suitable for adults. 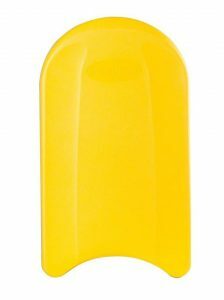 It provides perfect buoyancy and it fits to the kids arm. Overall it is one of the top rated kickboards for kids and also durable. Who are just learning how to swim, This VIAHART swimming kickboard is perfect kickboard. The shape, size and buoyancy are just what they need. This kickboard is made from non-carcinogenic material. The boards also made from EVA foam. But they are phthalate and formaldehyde free. It comes in 17.5 x 13 inches. They have four colors for your choice- purple, blue, yellow and black. The board has a nice classic design but it has one difference. There are two curved pieces at the top of the board which you can push out and then grab with your hand through those holes. It increases comfort. It is great for people who have shoulder problems. This pool kickboard is highly recommended for beginner level adults. Overall, This is the best adult kickboard. 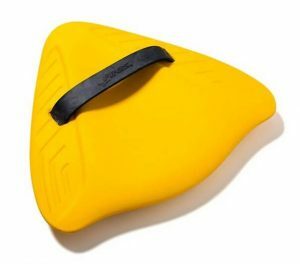 The Finis Alignment Kickboard is exceptional because of its different design. It is designed to be a streamline alignment kickboard. It allows you to take a more natural position in the water. It is triangular in shape and small than normal kickboards. The kickboard submerged under the water, so that your body can take best position while you swim. By that, the pressure on your lower back and shoulders is reduced. Your legs goes inline with your body. You need not to kick at an incline angle for the ergonomic kickboard. With all those features, you can train yourself with head submerged without any difficulty. The materical is nothing but EVA foam which is popular and most durable. You can easily control hand straps. It keeps your body in proper position. Overall the kickboard is a gear board for natural swimming. It is also said that this is the best swim kickboards for adults. From past, speedo has been synonymous with comfort and quality. 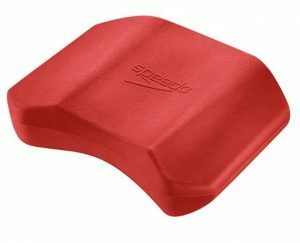 The Speedo all age pullkick come in different shape than other kickboards. It is sepcial because peopel from different ages can use this kickboard. This comes in one color, just black. This product is for you, if you don’t like carrying too much equipments when you go to the swimming pool. It can be use both as kickboard and pull buoy. Its measuring is 10.5 x 9.25 inches. For this, it can easily fits in your bag. It is thick that enable you to grip with your legs to use as pull buoy. It takes a little more effort to control your body while kicking. It is good for upper and lower body exercise. It is great in shape. Overall, it is a great swimming kickboard. With so many colors Nordesco Rigid Kickboard is also a great board for most swimmers. This nordesco kickboard is very tough and rigid for most swimmers. It provides all those supports that your body needs to maintain proper upper body position and a good form of your kicks. Like other boards, this swimming tool is made from EVA foam that has been molded especially. It is easy to grip in the sides and it doesn’t slip for a non-slip surface. It is water resistant and very durable. This rigid board is safe from UV rays. This swimming tool come in differnt colors like red, yellow, orange, purple, blue and green. With the colors it looks nice at the swimming pool. Before choosing a good kickboard you must consider some points. They are given bleow. Who is going to use the kickcboard? Before buying any kickboard you need to think who is going to use the kickboard. If he is adult then the VIAHART adult swimming kickboard will be perfect for him/her. but if he is young or child, then you should go for Sunny Patch Dolphin and Shark Kickboards. 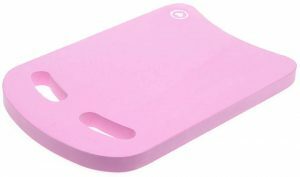 These kickboards are rectangular in shape and slightly rounded at the front. They can be seen on the swimming pools everywhere. They are generally made to be rigid and sturdy. Traditional kickboards are good for adults. They are also affordable. The size is important for the efficiency of your kickboard. Many manufacturers make special kids kickboards which is smaller in size and lighter. They are easy to grip. Also, they are colorful and bright in decoration. In general, swimming kickboards are not so expensive swimming equipment. The price range is about $7 to $16 on average. But some costs above $20. So, you can consider the kickboard price before choosing the piece for you. If you are looking for a piece of swimming equipment that can be use both as kickbaord and a pull buoy, then you can go for Speedo All Age Elite Pullkick Swim Training Aid. It is known as pull-kick. It enables you to train both upper and lower body muscles. It is lightweight and easy to carry. It has a special design. Its shape is like a kickboard. However you can use it both pull buoy and kickboard. Q: Why do swimmers use kickboards? Answer: You need to afloat until you learn how to swim by your self. The kickboard keeps you afloat until you learn swimming. By swimming with a board, your confident gets improved. It is a great tool to learn how to keep your body position perfect and inline. It improves your swimming technique. Q: Why pro swimmers use kickboards? Answer: If you are a pro swimmer, those kickboards are a fantastic way to train your legs. Most swimmers practice their leg and kicking technique and this has a very significant impact on leg muscles. The boards help swimmers remain streamlined. Relaxing during a long workout is the additional benefits of a kickboard. What is more about kickbords? Hope you got the piece you need for swimming. From above all of them, I love speedo Team Kickboard. You can give a try on it. Let me know on the comment section if you have any quarry.